1 What kind of water is needed for brewing tea? 2 How to boil water? In China and Japan, experts are used for brewing tea for centuries developed methods, because the species and variety of teas, and they need their own, individual approach and method of brewing. There are even special tea ceremony, where the role played by all: utensils for brewing, water, timing and manner of its heating, specific sequence of actions, even clothes. Brewing tea turns into a beautiful and spectacular ritual. But at home, there are still more simple ways of brewing tea. First of all, prepare water for tea. What kind of water is needed for brewing tea? 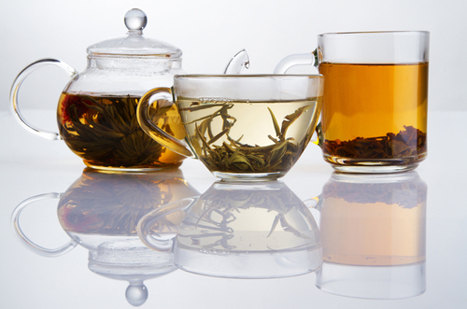 The fundamental importance of the correct choice of water for tea is said and written a lot. Really, poor quality water can completely kill the flavor and taste of any tea, even the most excellent. First of all, water should not have any undesired taste or odor, It should be soft. Ideal spring mountain water, any of the key away from the forestry villages, but in the absence of, suitable bottled, but not carbonated and mineral. Water from the tap will have to defend, then passed through a filter. Water can freeze in a round tin, put in the freezer. Interesting, that all impurities gather in the center of the ice pillar. If it gently to pull out of the jar, pouring hot water, then the impurities can be washed out of the central part, directing at this place a thin stream of hot water, remaining pure ice melt, quality water to give. The most important rule when brewing tea states - the water boil once. Therefore it is necessary to boil only the amount of water, which is required for the necessary servings of tea. The Chinese believe, that with repeated boiling water kills, losing energy, and brewing of tea is not good. Boiling water passes through three stages, and it is important not to miss the moment, when it needs to be interrupted: The first stage begins with the appearance of small bubbles, which are detached from the bottom of the kettle and seek up, Chinese call it "crab eyes". The bubbles are then assembled as if in a thread, become larger, coming second stage "fisheye". The surface of the water as it becomes turbid and blisters, the sound becomes like to rustle (stage "sound of the wind in the pines"), here and it is necessary to stop heating, since then the water starts to boil vigorously, perekipit and become dead. so, boil water, we learned, Now we make tea basic universal way. special teapots of porcelain is used for brewing tea, ceramics or china. Once our water boiled before the correct stage of "noise in the pines", disable heating and pour it into the brew chaynichek, rinse it, pour the prepared tea leaves and pour boiling water, cover with a lid and top fine linen napkin, closing the spout and the slit in the lid. This is done to preserve the essential oils of tea, but not for keeping warm. We insist on tea 3 to 10 minutes, depending on the variety, then stir tea brew spoon in a teapot, and it is possible to pour tea into cups. To brew green tea need water temperature is about 80aboutWITH. Preparation of its boiling implementing already known method, and cooling will overflow into another vessel. To do this, prepare in advance two vessels. When the water boils, Wait half a minute, pour it into a container, Wait a little, and pour again, then a third time. Take the required amount of tea, pour into a tea teapot, pour tea prepared with water. Water drain through 10 seconds, to remove dust and steam the tea leaves (This procedure is called Strait), again fill the new portion of water and wait 3-10 minutes, covered for. Tea is ready, pour into cups using strainer. Remember, that black tea can not be left to the brew teapot with leaves, it is useful to drink only freshly, and immediately throw away the used leaves. And green tea can be brewed several times with fresh boiling water, ostuzhennym up 80aboutWITH, somewhat increasing the time of infusion, Strait procedure thus excluded.